A few years ago, online shopping hit bricks & mortar retail stores in a devastating way. I was fortunate (and unfortunate) enough to watch from the front line the effects that online retail shopping had on the company I was working for at the time. The digitization of the consumer shopping experience, combined with the after-effects of the Global Financial Crisis, terrified retailers around the world. They watched their in-store sales fall dramatically as they struggled to quickly find the right online strategy. Retailers had become too comfortable with current standards of service. Meanwhile, consumers were demanding more than bubbly sales staff, and they were able to find cheaper prices at their fingertips with this newfangled device called a smartphone. 5 years later, the way consumers shop and interact with retail brands has been completely revolutionised by the omni-channel experience and the mobile e-commerce app. In terms of what is to come next for retail, well the online shopping experience is just the beginning of a completely disrupted industry. A recent Nielsen survey concluded that 60 percent of consumers browsed online before making an in-store purchase. This is a phenomenon known as ‘web-rooming‘. Only 51 percent worked it the other way—‘show-rooming’ – browse in-store; buy online. Other studies showed a similar trend. Accenture reported that 88 percent of those it surveyed shopped virtually and bought physically, while 73 percent looked over items in a store before buying online. Clearly, the future of retail lays in the hands of an integrative mobilisation of the customer experience. This is going to revolutionise both operations and customer experience. When I say experience, I don’t mean a fun experience, like handing out fairy floss and having an activation where people can take shameless selfies with your brand strategically placed in the background. I’m talking about making the experience of shopping with your brand as stress free as possible. Customer experience design will be like designing the UX of a mobile application. Every barrier to purchase will be optimised to be seamless, intuitive and second nature. In this article today, I’m going to share with you the latest retail industry technology trends – those new technologies that will be revolutionising the consumer retail experience. TechCrunch published an article at the start of July 2015 from the head of developer relations at Shopify, Atlee Clark, stating that the next billion dollar industry is experiential marketing. The pain points of the retail experience, particularly in-store, will be removed by technologies that will dominate the retail environment. I’ll start by listing some of the pain points in the current retail purchasing experience. 1. Waiting in a line to buy items. 2. Arriving at a store excited to buy an online item, to find that the item isn’t stocked at that store. 3. Item not size suitable. 4. Receiving an unsatisfactory item you bought online. 6. Staff not available to help you. 7. Stock apparently available, but unable to be found. 8. Lack of information about the product, so much so that you have to go online to find out more. 9. Prices are different in every store you enter. 10. Items taking days / weeks to arrive. This is just a few of the current pain points of the retail experience and it barely scratches the surface. “Robots are the first thing that will really change the customer experience in centuries.” – Kyle Nel, Executive Director of Lowe’s Innovation Labs. We’ve all experienced the disappointing experience of arriving at a store to find an item you saw online, only to find that the staff have no idea where it is. But imagine this; You arrive at a store and you’re greeted by a robot, whose only motivation is to help you. You simply tell the robot what item you’re after, or show it an image on your phone. Using GPS tracking location or proximity technology attached to the item, the robot shows you a map of exactly where the item is. It could even take you right to the item. If it’s out the back in storage, it’ll instruct a staff member or another robot to collect the item for you. Using simple tracking technologies, the robot can track each item around the store, creating a brilliant user experience as well as improving operational inefficiencies – stock loss/theft and staff time. The opportunity cost of having satisfied customers and traceable stock items as GPS tracking devices decrease in price, will be invaluable to the future of a seamless consumer experience. In partnership with Lowe’s Innovation Labs, Fellow Robots and Singularity University, Orchard Supply Hardware Store is the first retailer to explore how Autonomous Retail Service Robot (ARSR) technology can improve and enhance in-store service and training. These guys have designed a device call OSHbot, that has a number of ground-breaking features to help customers navigate the store and associates work more effectively. Customers can show OSHbot what they are looking for by displaying an item, such as a screw, in front of the robot’s 3D scanner. The robot uses the same sensors as Google’s driverless cars to avoid collisions and every night it updates its map of the store’s inventory. But robots have been in the news recently for reasons other than transforming customer experiences and disrupting incumbent industries – namely with the Artificial Intelligence warning, fronted by the likes of Bill Gates, Stephen Hawking and Elon Musk. Humans have been found to feel a sickening revulsion towards robots that are too similar to humans. Consumers are looking for non-threatening, cute, helpful robots that don’t remind them of movies like iRobot. Consumers have a fear of losing their job to robots. 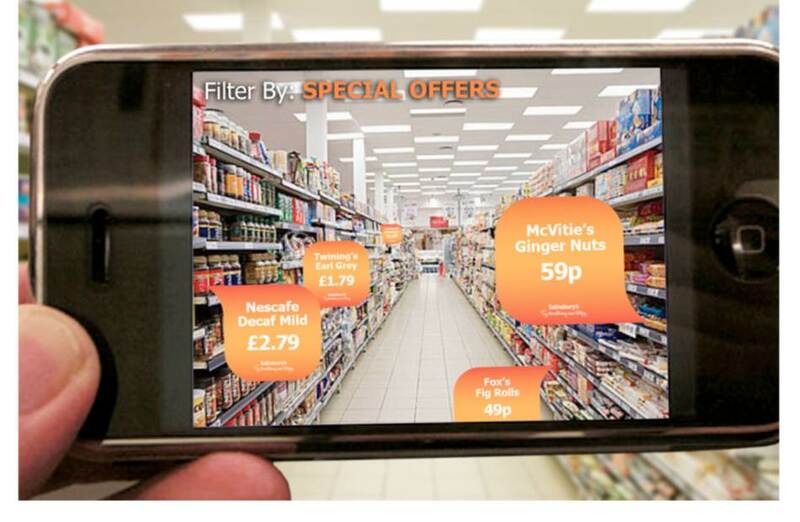 Augmented reality is a technology that superimposes a computer-generated image on a user’s view of the real world, providing a composite view. It’s going to dominate retail in the next few years, as costs decrease and new opportunities arise to use it for practical problem-solving rather than just advertising campaigns. Beacons, or iBeacons, are small objects transmitting location information via Bluetooth to smartphones. They’re often used in proximity with a smartphone to deliver a location-specific push notification or text message. Beacons are a low-cost piece of equipment, costing around $30.00 for a 4-pack. Near Field Communication (NFC) describes the exchange of information between two devices. It’s the technology used to pay-wave and make contactless payments. The main cost of this technology comes from the mobile application that must be built to accompany their capabilities. 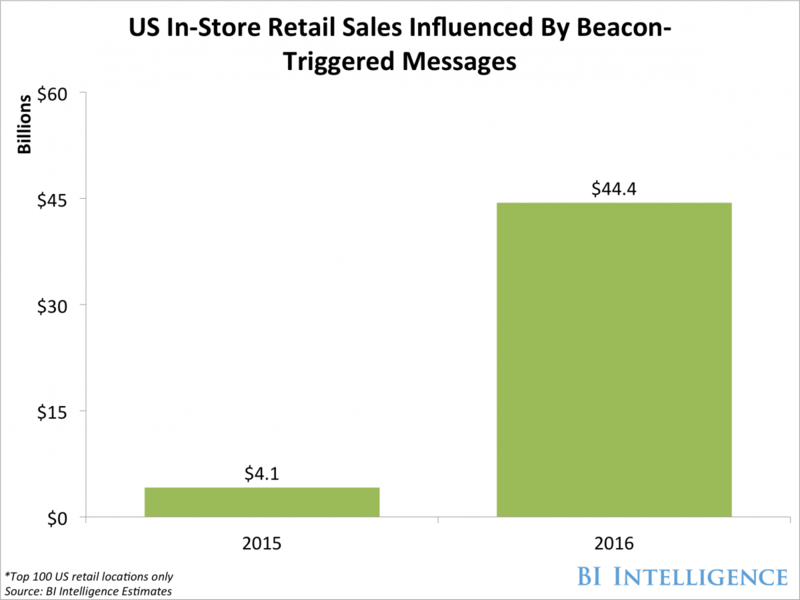 The retail space currently poses one of the biggest opportunities for beacons, providing real-time proximity marketing, contactless payments and live in-store foot-traffic and analytics. A customer at Harvey Norman is analysing which new bed to buy, when they come into proximity with a beacon. The trigger sets off a push-notification with an offer for 25% off the chosen bed Harvey Norman wishes to promote. Upon accepting the offer, the customer can just simply pay for the item and organise delivery online on their phone without having to speak to any staff. The future of retail items will involve a quick tap of the smartphone on an item (NFC technology) that takes them to a specific mobile optimised web-page with educational information and local stock levels. It’s almost ridiculous that this isn’t already a mainstream experience! Digital marketers will need to be building an all-in-one educational portal for each of their consumer goods. It’s a long-term investment, acting as staff training and improving staffing inefficiencies. I was trying to buy a FitBit for my mother last week, and the Fitbit packaging had only dot points about what it was capable of doing. I couldn’t find any sales staff to answer my questions, including what other colours it may come in. I tried to Google it, but I was also struggling to identify what version of the Fitbit I was even holding. 1. They’ll find a cheaper option with another retailer- a lost sale. 2. They’ll not be able to find the information they need and leave – a lost sale. 3. Frustration and anger towards the experience – A lifetime of lost sales. It’s a really important drop-off point in the consumer shopping experience, one that can certainly be optimised. I’m personally terrified of drones. They remind me of flying spiders. I couldn’t imagine this happening, but companies like Amazon have been trialling drone delivery for months. Nightmares aside, the introduction of drones will drastically improve our roads and customer satisfaction. The technology itself is also surprisingly low cost and efficient (you can already buy toy drones the size of baseballs for less than $100), and would cut costs in demand for manpower and transportation. It’s even been suggested that they could save lives by delivering first aid equipment during natural disasters – DHL Parcel started delivering medications via drone to the remote German island of Juist last year. 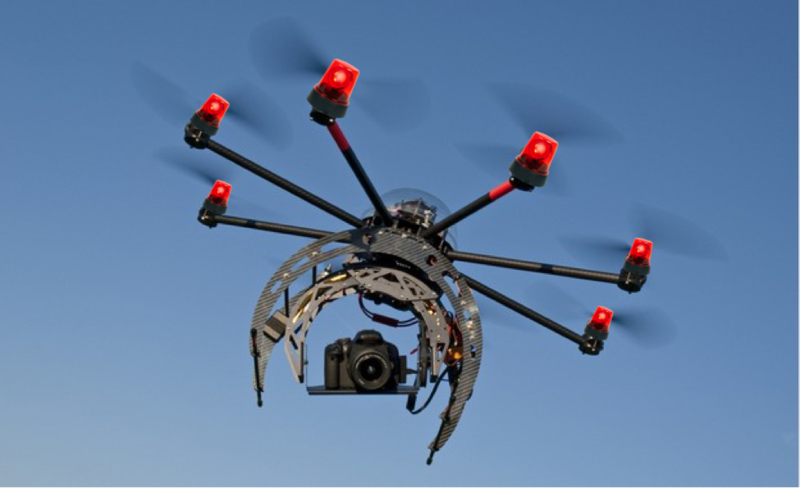 Crime – Drones can be wirelessly hijacked, manipulated or stolen. If compromised, drones carrying consumer goods or highly sensitive information could be redirected. Massive investment in infrastructure – For drones to become widespread in a major city, hundreds of local stations where they can be charged, serviced and controlled by skilled drone operators would be needed. Make an e-commerce mobile application… Without serious market research. If the conclusive answer is every-day, then build an e-commerce application. If the answer is a few times a month, or 3-4 times a year, then do not waste your money. Retail is an industry that has been notoriously slow to adapt to new technologies, but now it’s do or die. The retailers that will survive are those that commit resources into technologies that seamlessly integrate into consumer’s offline purchasing habits, and make the customer experience more convenient, faster and better informed. How would these technologies affect the future of SMEs?